Helena Kay: Four Stars in Downbeat USA!!!! Jazz Mazz Gives 4 Stars to Helena!!!! Helena Kay, one of a new generation of British jazz musicians, talks to Chris Searle about the influences and inspirations that have shaped her career. For the full interview, please click on the image, above. Helena Kay Scores Big in Brighton! Trio gets exceptional reception at The Verdict. Helena's 'Moon Palace has Mojo! 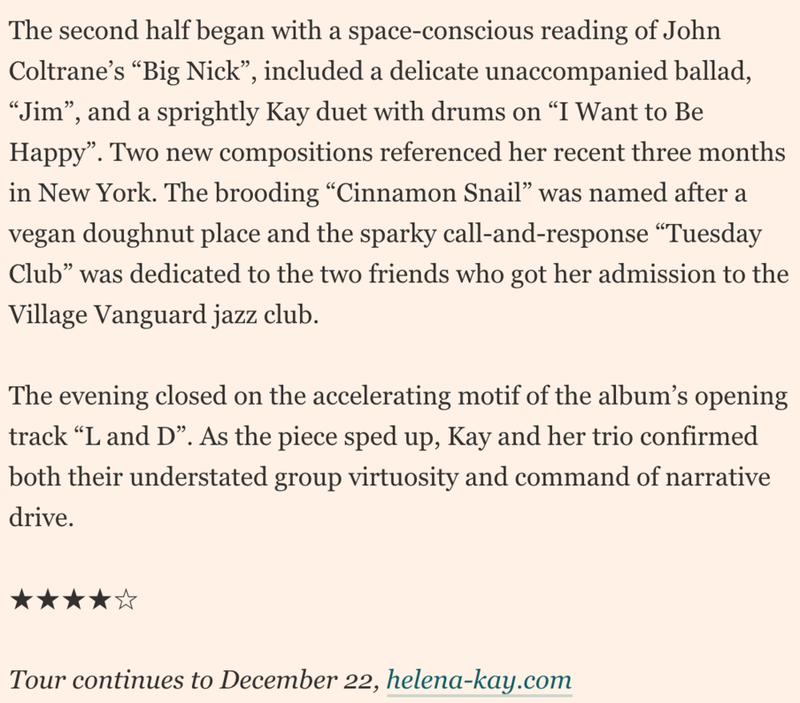 The magazine goes for Helena Kay’s KIM Trio debut, ‘Moon Palace’! 4 Stars for Helena's Album Launch Show! The FT’s Mike Hobart ate it up, on the night! Helena Kay Scores 4 Stars! The Scotsman Newspaper gives the debut album a rave review. Jazz Views Loves Helena's Debut! 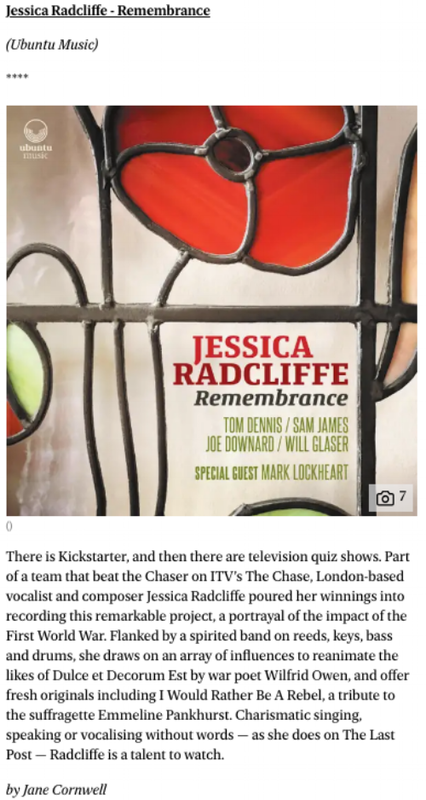 FOUR STARS for Jessica Radcliffe in The Evening Standard!!! !